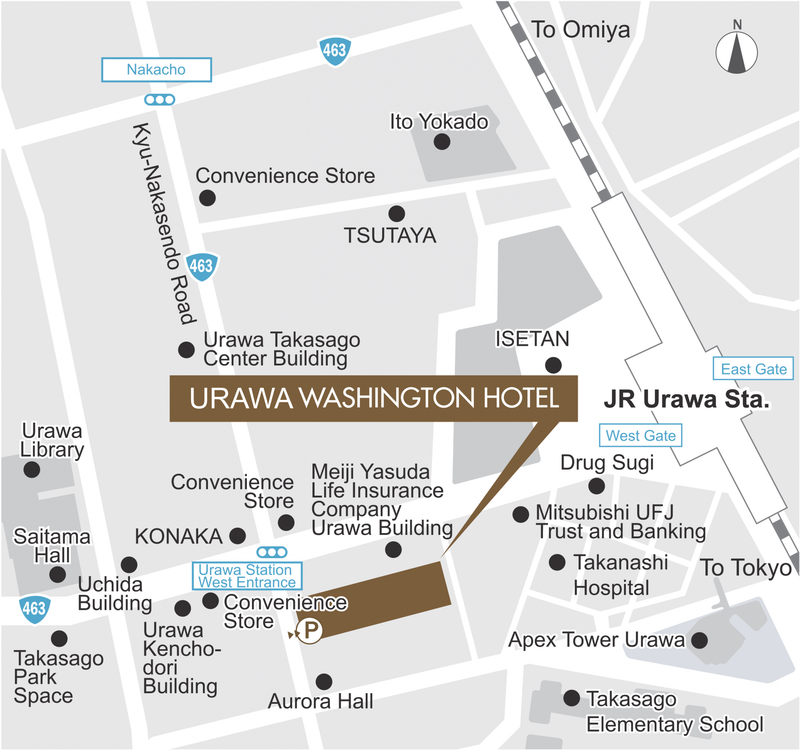 Urawa Washington Hotel is located in the city of Saitama, the capital of Saitama Prefecture, close to the Tokyo metropolitan area. This hotel is surrounded by rich nature, historical heritage, and advanced culture. Enjoy a pleasant stay at Urawa Washington Hotel. Take the Keisei Skyliner Liner and get off at Nippori Station. 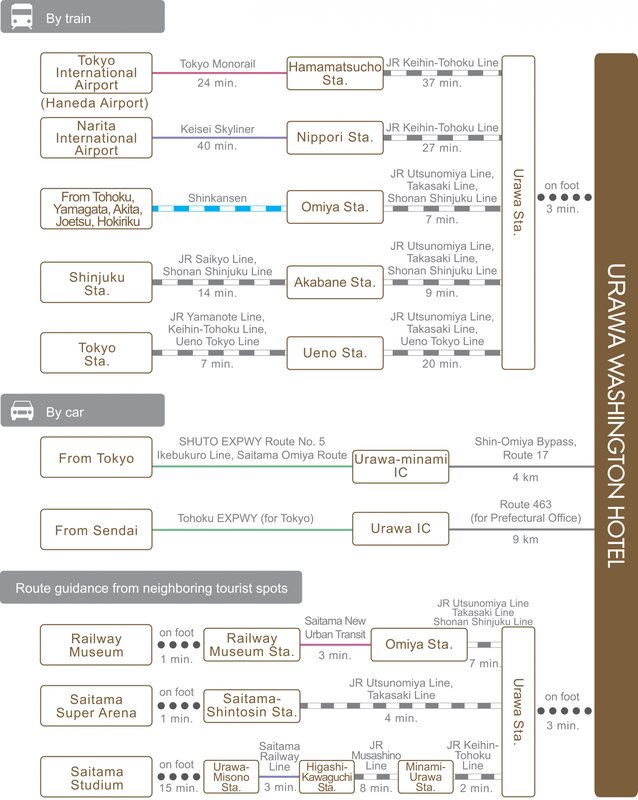 Transfer to the JR Keihin Tohoku Line and get off at Urawa Station (approx. 85 minutes). Take the Tokyo Monorail and get off at Hamamatsucho Station. Transfer to the JR Keihin Tohoku Line and get off at Urawa Station (approx. 70 minutes).